Are you a beauty junkie? Do you crave eyeshadow palette more than ice cream? 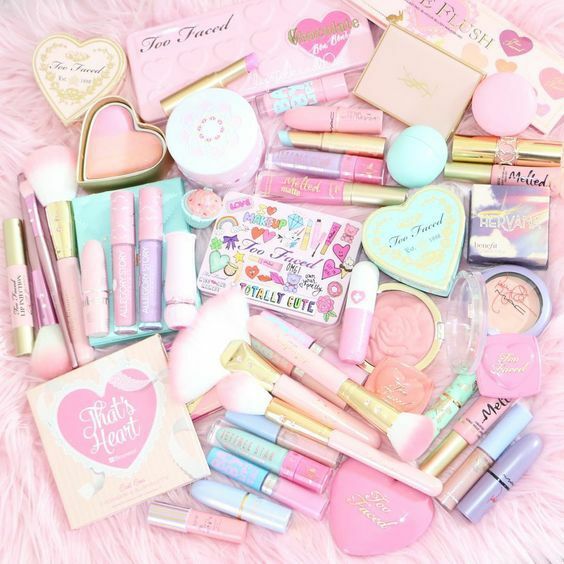 If your answers are YES, then you might suffer from beautyholic disorder (a psychological problem that yet recognized by medical practitioner, meaning a person who has an abnormal addiction on beauty products). Sounds familiar? Then you should read on. If you always find yourself out of cash but having a dressing table filled with half-used products, then it is time to reflect upon it. I did ponder upon it, what if I didn't spend all these moneys on beauty products, what could I use my money on? I would love to go back to Santorini again one day, and saving a lot of money is what I need to do now. 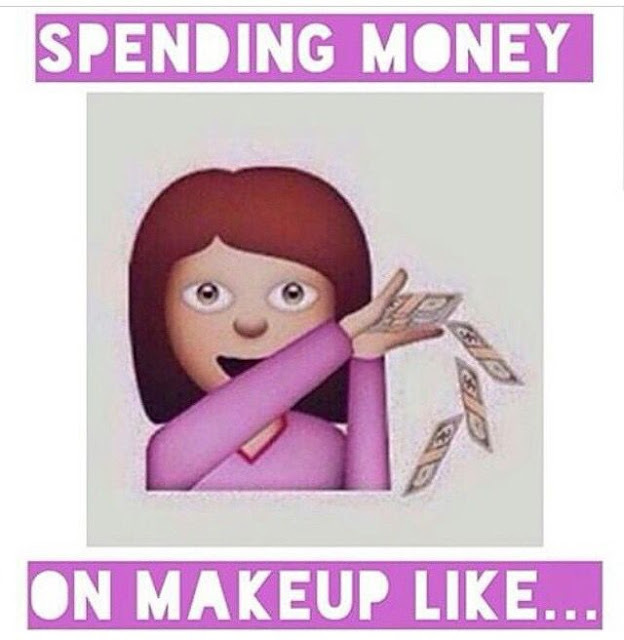 After tracking where have my money gone (and so obviously), I noticed that I've overspent on beauty products. I hope some of these points below will help you become a more prudent spender. Not only you can save some money for other things, you can also help reduce consumption of energy. All the beauty products need energy to produce, the lesser we use, the lesser materials will be wasted. A lot of times I purchase the wrong beauty products due to "excitement". I completely forgotten to search for reviews or opinions on the products. The product ended up staying on my shelf. It is not only a waste of money, but also a waste of space. Whenever I face with this situation, I will have the dilemma whether to throw the product away or not, especially when it comes to expensive foundation, lipsticks and skincare. How to solve this: Before purchasing something, take out your phone and google for the review. Normally I rely on Temptalia's rating. Anything B & A rating are safe to purchase. If I want an unbias review, I will go to MakeupAlley to read all the users-generated reviews. If the product is more than RM150, I will not rush to buying it. I will take my time to do my research, test the product in the store and ask around for opinion before getting it. Why don't you top up another RM50 and you will get a makeup pouch for free? I always fall into this trap. Do you? Most of the time, the free gifts are more interesting than the main products that we are buying. How to solve this: Remember that there's nothing free in this world. Ignore all the temptations (the hardest part) and get the things that you need only. Christmas sets and characters/brand crossover are probably the biggest hype. A lot of times our decision to purchase something is driven by the pretty packaging and the term "limited edition". After you purchase it, then you realized, you already own one of the dupes! How to solve this: Avoid temptation. Unsubscribe to all brand newsletters. Don't shop during holiday season. I believe we all don't practice this. Set a realistic budget and keep track on what you have spent on. That way you can see where your money went to. If you exceed your budget limit, cut it off from your next month budget. Or save it til the next month to buy it. How to solve this: Keep a budget spending app in your phone. Key in all your expensed, including the beauty products you purchased. I am addicted to lipsticks and eyeshadows due to the attractive colours. But who needs 20 lipsticks and 10 eyeshadow palette at the same time? What is the stuff that you hoard the most? How to solve this: Set a quantity limit of the product you hoard. For example, limit yourself to having 5 lipsticks only. Do not purchase new lipstick until you toss one of it out. That way you only top up a new product when your existing one finishes.